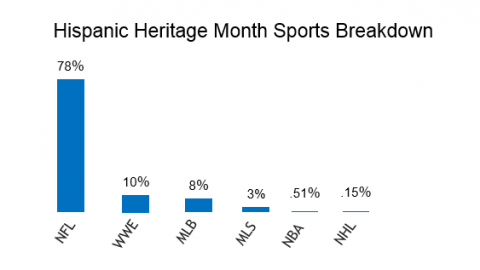 Home 2015 Hispanic Heritage Month: What Did People Talk About? Hispanic Heritage Month (HHM), from Sept. 15- Oct. 15, just came to a close and this year we at OYE! decided to listen in on the hispanic conversations online and what was being discussed during this month of cultural celebrations. We noticed a spike prior to the kickoff on September 15th so we also included the week before Hispanic Heritage Month to gather any announcements of anticipated events and celebrations. *Note: this blog is a brief summary of all the insights. 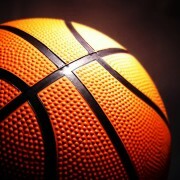 If you or your company would like to more information, please contact us via the contact form at bottom. During our analysis we saw that Politics (29%) was the main conversation driver which was primarily led by the Congressional Hispanic Caucus Institute (CHCI) which began on October 6th as well as President Obama’s address at their gala. 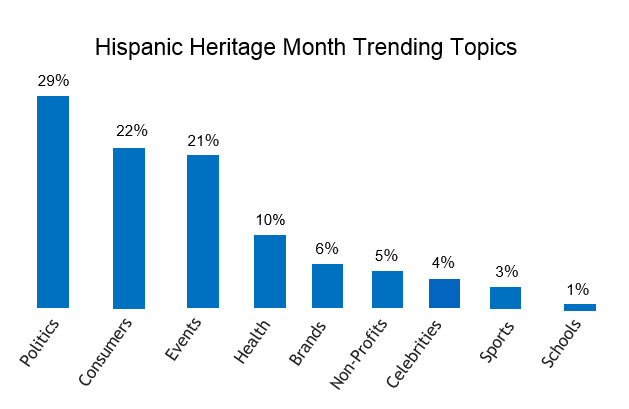 Hispanic online Consumers (22%) showed pride for their Latin roots by mentioning their heroes using the hashtag, #HispanicHeritageHero throughout the month. 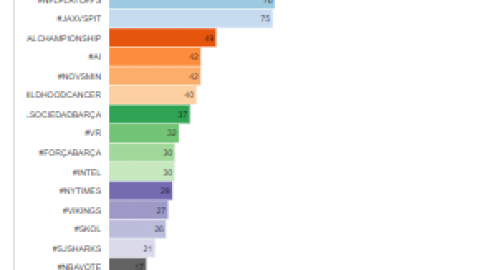 Events were the next most mentioned category, owning 21% of the conversation. Together these three categories produced 72% of all mentions reviewed. 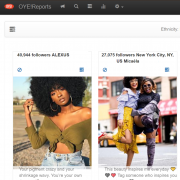 OYE!’s natural language processing is designed not only to identify Hispanics, but to also derive insights marketers can use in planning campaign strategy, messaging and targeting. 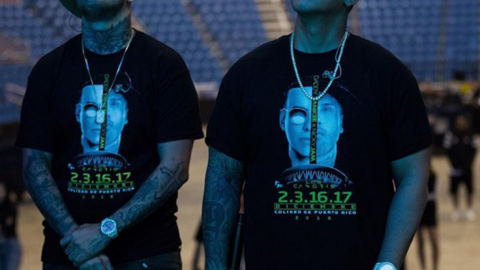 This also helped to identify brands and their campaigns used during HHM such as Coca-Cola using the hashtag, ‘#OrgullosoDeSer‘ (#ProudToBe) to create conversation among Hispanic communities. 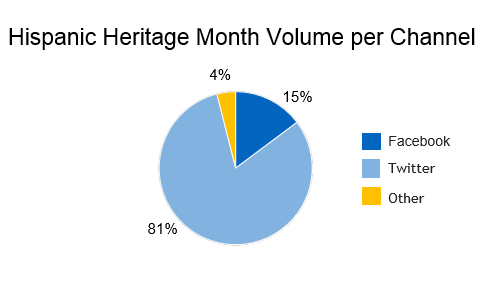 The majority of the conversation for HHM took place on Twitter (81%) with Facebook coming in second with 15%. The other remaining content sources were blogs, Flickr and mainstream media that made up the remaining 4%. The predominance of Twitter conversation was not unusual to our research reports as this channel is often found to lead all forums due to its users typically keeping their accounts public. 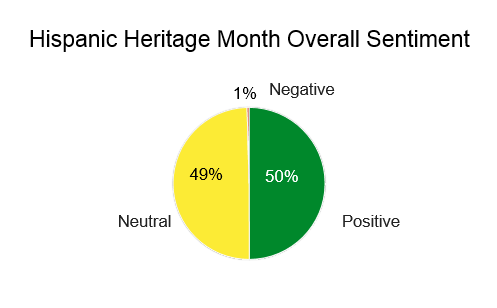 During HHM, there was very little negative sentiment (1%) pointed towards the month long celebration of Hispanic heritage. 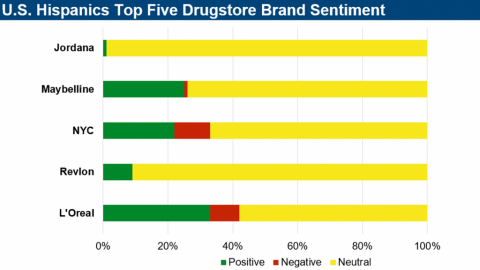 Contrary to that, 50% of the entire conversation was found to hold positive sentiment, including countless memorable mentions of ‘orgullo‘ (pride) shared by consumers and brands alike. 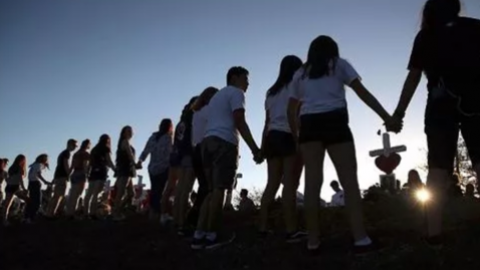 Events and festivals going on across the US also were a primary driver for positive mentions as people shared fun moments with friends and family. Most neutral conversation consisted of online articles found to be discussing the month-long observance. 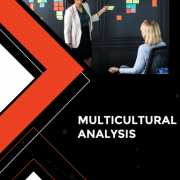 One of the eye-openers is the high propensity of English conversation found discussing HHM. * OYE! 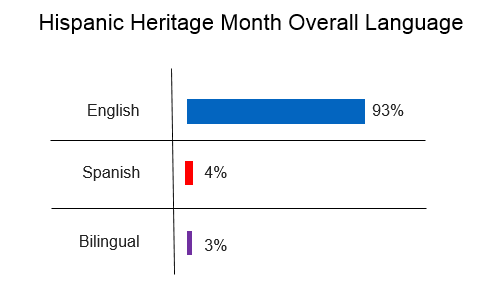 proprietary technology has the capability to analyze English conversation among Hispanics which is unique among all social listening platforms. It was interesting to see that Over 90% of the conversation for HHM was found in English which was powered by conversation about Politics, mentioning President Obama at the CHCI. Spanish was primarily led by Health conversations with informative articles, sharing recipes of traditional Latino recipes; often with a twist using options for different healthier ingredients. 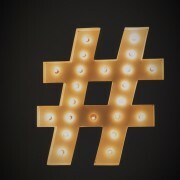 *Note: Most hashtags were in English, therefore, driving engagement in this language. OYE! 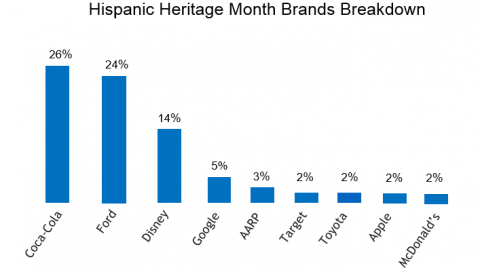 studies shows that Hispanics tend to respond to the language presented by a brand. 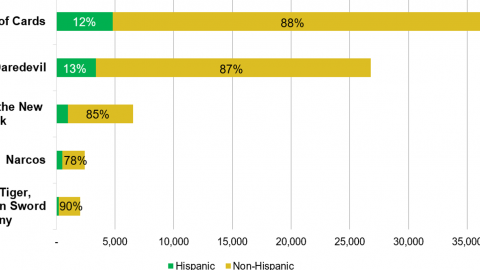 More Info on Hispanic Conversations Online? 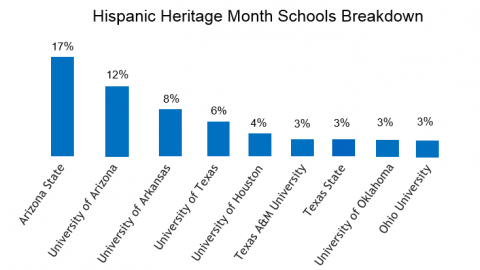 Hungry for more on Hispanic Heritage Month? Let us know what topic you are curious about and we will be happy to provide a sample data set for you. Contact us using the form below.